Logon to that distant machine without leaving your desk. In order to make this connection work, one computer is the local machine, while the other is a distant server. Normally the local machine, where you launch the RDC, would be a client such as Windows 7. However, it's also possible to create a remote desktop connection between two Windows Server 2012 computers. There are two distinct systems, firstly, the one-to-one Remote Desktop Connection as discussed on this page. Secondly there is Terminal services; installing this role allows many Windows 8 clients to connect to one Server 2012. A Remote Desktop Connection (RDC) is available on all Windows clients and servers. While RDC is disabled by default for security reasons, you can enable it easily in the Control Panel. Terminal Services on the other hand, is available only on a Windows Server, and needs to be added as a role before any clients can connect. The two systems have different purposes; a remote desktop connection is for having a quick peek at a remote machine. Terminal services is designed for thin clients to get the full Windows 8 experience; for this they utilize the server's memory, CPU and if necessary, disk storage. A classic scenario for setting up RDC is that none of Microsoft's remote tools will allow you to view a particular GUI on the Windows 2012 Server. 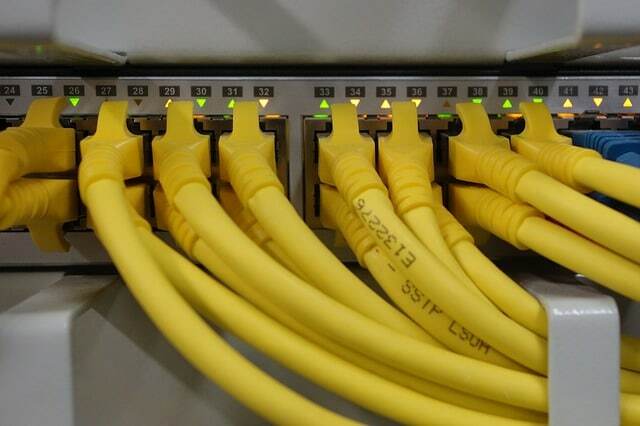 Therefore, you either need to make that long walk to the server room, or else stay where you are and connect via RDC. I don't normally think much about security, but I must point out that changing the configuration so that a server can receive remote connections is asking for trouble from hackers. Perhaps it would be better to see if PowerShell could make the configuration change you need. Ok, you clearly want to get the remote connection working, so this is how to prepare the Windows Server 2012. Scan down the property sheet and read the Remote Desktop options. 'Allow remote connections to this computer'. 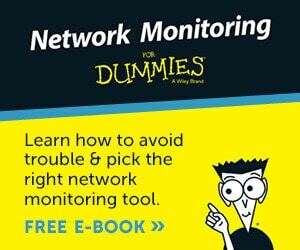 Allow connections from computers running Remote Desktop with Network Level Authentication. 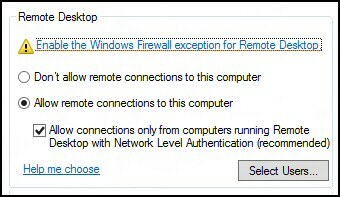 Allow Remote Desktop Connection as an exception to your firewall. Take a minute to realise that while you have setup remote desktop connections, you have just compromised your server – I hope it's a test network. There is no problem with installation because remote desktop is already installed on Windows Server 2012, you just have to activate the RDC, see above. 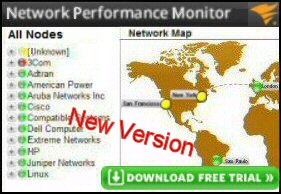 Use ping to test the network connection, if there is a problem check type the IP address rather than a computer name in the Computer dialog box. If you have selected Network Level Authentication then you must type the full computer name at the client. For example, myserver.local and not plain myserver. If in doubt try: ping myserver. You can see the full computer name in the Control Panel, System and Security, System. Disable the firewalls on both the local and remote host computer. As you configure the RDC setting in the control panel there is a prompt to create an exception, but just to be sure that firewall is not blocking the connection I temporarily disable the firewall on both machines. Once you get the connection working turn the firewalls back on and just make an exception for the Remote Desktop Connection. For reasons I don't understand, typing a username really makes a difference. Make sure the username you are trying has previously logged on at that server. Naturally, check that your user has permission to use remote desktop. Perhaps you don't need RDC after all. RSAT is designed for administrators to manage roles and features remotely. If you are using Windows 8 get the installation package from Microsoft Download Center, there are also .MSI files for older Windows clients. A quick word about the Remote Assistance option you see just above the Remote Desktop settings; this allows a techie to access your computer so that they can troubleshoot the server's problem. Unlike Remote Desktop, Remote Assistance allows both of you can see the same computer screen; there is even an option for sharing the mouse pointer. 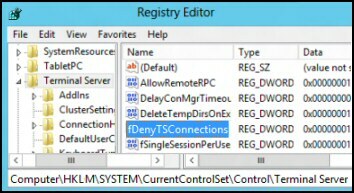 Providing you can get the remote registry service started on the target computer, you can edit fDenyTSConnections with Regedit and turn on 'Allow remote connections to this computer' without using the Control Panel. The scenario is you plain forgot to enable the distant server to accept a Remote Desktop Connection. My method requires you edit the registry setting fDenyTSConnections from 1 to zero; what this achieves is to reverse ‘Don’t allow connections to this computer’ on the target machine. Use PowerShell to start the registry service on the remote machine. Our mission is to change the value of fDenyTSConnections from 1 to 0. Launch Regedit and navigate along this path: File Menu, Connect Network Registry. Remote Desktop is available on an ever increasing range of tablet, slate and mobile devices. Remote Desktop works well in Virtual Machines. Look out for ‘Favorites’ they remind you of what you were doing the last time you used remote desktop. I like to reduce hassle by saving my credentials in the General tab. 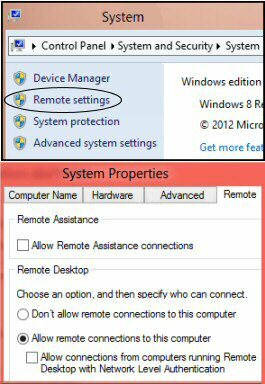 Remote Desktop Connection (RDC) is available on Windows Server 2012, you just need to enable the setting in the Control Panel. 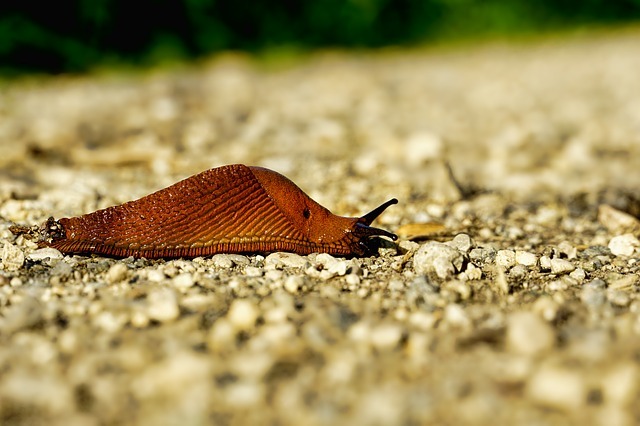 Be aware that remote desktop connection is attractive to hackers, thus this only really suitable for a test network, or a private network not connected to the internet.